Discover the healing benefits of using tea tree oil in your beauty products. We all know that therapeutic grade essential oils, when used properly, can treat illness and keep us healthy, but did you know that using them in your beauty products can be even more beneficial? Tea tree essential oil is derived mainly from an Australian plant named Melaleuca alternifolia and has been used for the past 100+ years for its powerful antiseptic properties and its ability to treat wounds. Medical studies demonstrate that it kills many strains of bacteria, viruses and fungi, which makes it a great go-to product any time of year, but especially during the flu season or when you are suffering from skin irritations. A study published in the British Medical Journal found that tea tree essential oil is “a powerful disinfectant and is nonpoisonous and gentle” to the body. In a recent study published in the Journal of Dermatological Sciences, tea tree oil was found to have a rapid effect on reducing cancerous tumors and boosting immunity. Perhaps this is why Australians included it in their first aid kits during World War II. The natural antiseptic and anti-inflammatory properties of tea tree oil make it a requirement for everyone’s natural medicine cabinet. It can be used aromatically and topically, but never internally. According to the National Poison Center tea tree oil should NOT be taken by mouth for any reason. Soothes cold sores and insect bites. If a little gets in your mouth when treating cold sores) spit out the oil afterwards to prevent possible side effects like digestive issues. We at in Harmony Naturals love this natural essential oil because it treats skin inflammation and soothes dry, flaking skin and scalps. 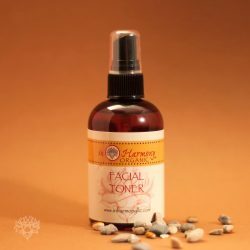 Facial toners tighten your facial pores, allowing fewer oils and toxins to settle into the skin. This creates a fresher, cleaner and less oily appearance while preventing acne. We use tea tree oil in our facial toner because it helps to balance out the skin pH and it naturally treats blemishes and quiets rosacea. It’s ideal for all skin types and doesn’t cause redness, dryness or peeling that is associated with other acne treatments. 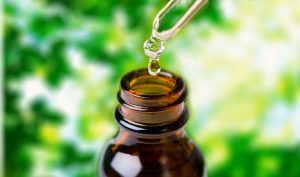 One clinical study found that tea tree oil is just as effective as benzoyl peroxide, but doesn’t have any of the associated, negative side effects. We use tea tree essential oil in our hand & body lotion because it prevents the spread of viruses, while treating skin inflammation like dry skin, eczema and psoriasis. It also soothes dry cuticles and prevents infection. 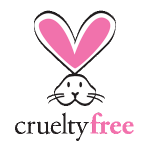 And it’s a natural in our shampoo and body wash. It reliefs dry itchy skin and scalps and treats dandruff.